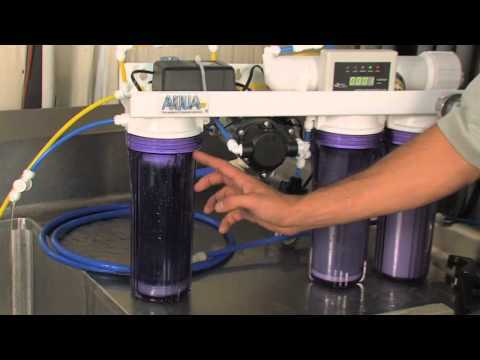 Worlds most Effcient RO/DI machine from AquaFX. At a glance, the Octopus seems friendly and undaunting, but if you take a closer look, you will see a true RO/DI marvel! This RO/DI unit is setup for greatest filter life, with least amount of waste! All units are made, tested and supported in the USA. * Clear 10" filter cartridge housings. * All systems include quick connect fittings, a shut off valve, a filter wrench for easy cartridge replacement * your choice of a feed adaptor. Aqua fx octopus replacements filters, can you tell what the order numbers etc are for the replacement filters for the octopus filter.